I moved to Palm Springs in the Fall of 1997 and lived there for 3 months. This is the earliest year that I am 100% certain I was being gang stalked. Weird, bad things were happening there that I now realize are typical gang stalking techniques. I have also since learned that Palm Springs is a little hotbed for OS/EH. I had a roomate named A. who was obnoxious and hostile. She was from Alaska. We worked at the same hospital on the same floor, opposite shifts. When I was on the phone in my room, A. would pace up and down the hallway outside my open door, talking loudly on her cordless phone. One time my sister heard her and asked me who it was. When I told her she said, “Tell her to shut up!” A. would even talk loudly about me on the phone to others while I was within earshot. The new Getty art museum had just opened in LA and I saved the article from the magazine section of the LA Times. I left it on the coffee table under some other papers. I was excited to go there with some family I had in LA. About a month later I realized the section was missing. About the same time A. returned from a trip to LA. She announced she had gone to visit the Getty that weekend with a group of friends. She had never mentioned wanting to go there before and never invited me. At Thankgiving, I told A. I was going to visit my family in LA and we were taking my nephews to Disneyland the day after the holiday. A. was also going to visit friends in LA for the holiday too, but never mentioned Disneyland. The day after Thanksgiving is the most crowded day of the year at Disneyland. As my family and I arrived to the front of the line to enter the park gate that day, I looked over to my right and guess who was there? A. and her friends were standing at the front of the line next to us. For New Year’s A. invited me to go to Las Vegas with her and her friends. I wanted to see Vegas but had a bad feeling about it. A. got hostile when she realized I had no intention of getting time off from work to go. She invited our neighbor instead, a girl from Ireland. Ann and her friends spent the entire trip alienating and isolating this nice girl. I felt sorry for the neighbor but relieved I didn’t go. I don’t think they ever spoke again after that. I met A.’s Dad once he was very nice, a pilot in Alaska. I even sent them home baked cookies for Christmas. A. made sure to tell me that she didn’t eat a single one. A young couple sat right behind me in the back of a cinema during a very uncrowded matinee. The male kicked the back of my seat throughout the entire show. And right as I was leaving the parking garage, the same couple walked out in right front of my car. Palm Springs is where I started to get stalked at the supermarket by the employees. You are singled out as they go out of their way follow you down an empty aisle asking if they can help you find something. On the surface it looks like they are just being helpful but when it is done to you repeatedly, and you notice they are not approaching other customers like this, you know you are being targeted. I also remember standing outside this same market one night talking to my sister on a payphone and ALL of the outdoor lights suddenly went off. I remember my sister saying “Weird things always happen to you!” as I stood there in the dark. Then there was the day I came home from work to find my entire bedroom carpet completely saturated with water. We lived on the first floor and somehow the outdoor sprinkler flooded my room. I went to management and all they did was offer me some fans. Some of my belongings were ruined due to water damage and I had recurring respiratory infections and allergy symptoms from the mold in the carpet for the rest of my stay there. I also remember an incident at the DMV here that involved the tactic of “directed conversation”. I was waiting in line to apply for a California license, which involved a written test. Two female hispanic teenagers got in line behind me and started talking about career plans. “I don’t want to be a nurse,” one said as if that was the worst thing you could be. “I want to be an artist, I’m not going to be a nurse.” I am a registered nurse and I felt insulted by this. But I had also longed for a more creative career like art or writing. When I sat down to take the test, one of the girls sat next to me. A large group of male teens then came over and loudly chatted with her during the entire test, it was annoying. She finished her test before me but had made more errors. After I left Palm Springs I moved to San Diego to work in an Oncology dept. until 1999. There was one nurse, M., from my dept. in Palm Springs that ended up in that same dept. right before or after I got there. I’m not sure if he was involved in OS. I returned to visit this hospital this summer after my stalking became overt and received mobbing and gaslighting from 3 different departments I used to work in. I now know what a terrifying place hospitals are for patients and staff who are TI’s. It is like walking into the lion’s den of perps. This summer I was also psychologically abused at 5 other medical and psych facilities in the San Diego area. Original New Toilet I bought in November 2010. Toilet I found in my bathroom in March 2011. These 3 things were a huge part of my harassment protocol since at least 2005. I was suspicious for a long time someone was entering my home while I was out. So much so that I started keeping a journal of my suspicions and even spoke to the Sheriff’s Dept., my family, and a therapist about it. No one had any answers. There is no sign of forced entry, the perps either bump the lock or have a copy of my keys. They are able to access my home whenever they want. I realized items were being moved, vandalized, stolen, and/or swapped. Many of the items were normal household items and sometimes even food. They swapped out clothing, shoes, bed linens, uniforms, cat toys, electronics, kitchen utensils, a laundry rack, even a toilet. Sometimes the item will be swapped out and then switched back at a later time. Most things are never returned. This is actually theft and a crime. If you came home and these items were missing, you would report it as a crime. But if the original item is replaced with an item that looks similar, how could you report it as a crime? It is a crime, and it’s called gaslighting. I just discovered this term 8 months ago when I found out I am a targeted individual. Gaslighting is an attempt to change a person’s perception of reality and make them doubt themselves. They have even involved local dry cleaners in swapping out clothes I have dropped off. The items that are left behind in the swap will have the same form/look/brand as the original item, but there will be a telltale difference that only you will notice. The item maybe be damaged/broken or more “worn”. It might have a weird odor, or be made of different materials and have a different feel/ texture/ weight/fit/hue. The item may not function the same way. Items that are in new/very good condition or better quality will be replaced with an identical or similar item of inferior/used quality. A dvd player in excellent conditon will be replaced with an identical one that is damaged or doesn’t function the same way. The super soft pillow cases you splurged on will be replaced with identical ones that feel like plain cotton. A sturdy, metal laundry rack will be replaced with a cheap, lightweight/flimsy one with plastic pieces falling off that looked like they never fit to begin with. The list goes on and I don’t know what they do with all the things they steal. It is a modern day form of pillaging. This is also not limited to your home, they will freely access your car as well and do the same things in there. In 2008, I stayed at a coworker’s home when I had to evacuate mine due to a wildfire. I did not know at the time she and her family were perps. They entered my car and stole multiple items one night during my stay. The next morning I found my car doors were left unlocked which I NEVER do. They wanted me to think the theft was my fault since I left the doors unlocked. Perps will often leave things “tweaked” like that to let you know they were there. It’s like when terrorist groups want credit for their work. I have also experienced “swapping” at my workplace and at my Mother’s home on the other side of the country. Vandalism that took place in my home included tampering with makeup. The perps would dig their fingernails deep into my eye shadows and blush. They would put water on my makeup brushes. They vandalized an eyelash curler so my eyelashes turn up at a 90 degree angle after I use it. They once smeared tiger balm on a maxi pad. It started to burn my genital area right away and I had to remove it immediately. They have smashed a shampoo bottle, smashed a bath brush. I often use an eyebrow brush and they have come in and cracked them over and over again so they fall apart when I use them. I started saving them, some day I will post a pic. Perps have even swapped out food I cooked. I would notice a soup I made would suddenly not taste the same after being stored in the fridge. A day later it would taste like the original soup again. One night I made popcorn with lots of butter and salt. I left the room for a few minutes, when I came back, the popcorn was completely dry and plain. Less than an hour later I left the room again and the original popcorn w/ butter and salt was back. Perps will often synchronize a car with an extremely loud muffler driving by home when I exit my front room to go into another room or the bathroom. I am wondering if this loud sound is used to cover the sound of my front door opening and closing. If I buy unsliced bread, cake, or a block of cheese, they will come in slice off a piece on a diagonal. I slice things in a straight line and they know I will notice the diagonal edge. The most extreme case of swapping an item to date is a brand new toilet I bought in November of 2010. My old one broke and the new one was very nice, a Kohler Wellworth. The plumber was named Jared from Hanna Plumbing in Vista, CA. In the spring of 2011 I bought a new digital lock and a Medco deadbolt for my front ddor. The deadbolt had a special copyrighted key from Accurate Security in San Diego, CA. It could only be replaced by Accurate with my permission. Within 48 hrs. of replacing the locks, I entered my bathroom and noticed my toilet didn’t look right. The toilet I saw had an oval shaped seat just like the original but the “trap” opening inside the bottom of the toilet was a whole different design. (See pics below). The trap used to be a square shape with rounded corners and the water level was very shallow. My original toilet had still looked brand new and sparkling. The toilet I now saw had an oval shaped trap opening with a second small hole inside the inner lip of the trap. There was dark brown residue inside the hole and the whole toilet was filthy with some kind of red fungus growing under the rim that would not come off with cleaning. It smelled like mold and I actually started to have breathing problems over the next few months because of a mold allergy. I had no explanation for this. I told my family and eventually spoke to a crime prevention officer but never filed a police report. In June of 2011 I finally decided to have Jared the plumber come back and look at it. I told him I was certain it was not the same model he sold me and asked him to bring another Kohler Wellworth and install it. Jared cancelled the appt. once and then showed up with a toilet that matched the one that was currently in my bathroom. When I realized this I knew he was involved in a lie and covering something up. I noticed he was being extremely careful not to give any body language to indicate he was lying but I noticed he did start sweating a lot and his voice got very high at one point like a woman’s. It was obvious he had been coached and rehearsed on what to say, how to say it, and when. Jared lied and told me the toilet model he brought over was the exact same model he sold me in November 2010. I had gone to Lowe’s and found the exact same model he sold me in 2010 and I showed him the pic. He response was ” Oh well Lowe’s sells different models than we do, they’re not the same.” I did not like this model at all but I let him install it. He said the water is hard in my area and because of the shape of this trap, “you really have to get down in there and clean it.” At one point he asked me if I was OK. I didn’t get upset, just sat and observed him. I’m pretty sure your toilet doesn’t change shape from lack of cleaning. When he left I smiled and said, “If you say it’s the same then I guess it’s the same.” Thinking back, I wish I had just asked him to GTFO. This is the Organized stalking tactic of gaslighting and menticide by trespassing, theft, and swapping. The “swapping” theme even evolved into the realm of impersonating people I know after the stalking became overt. Passed by red ambulance 2/16/13. 7:55 am- Passed Police Patrol car parked on shoulder of freeway. 3:31 pm- Passed red ambulance and Fire truck stopped on opposite side of freeway with lights flashing. 3:46 pm- Ambulance stopped on opposite side of freeway with lights flashing, traffic backed up for miles. 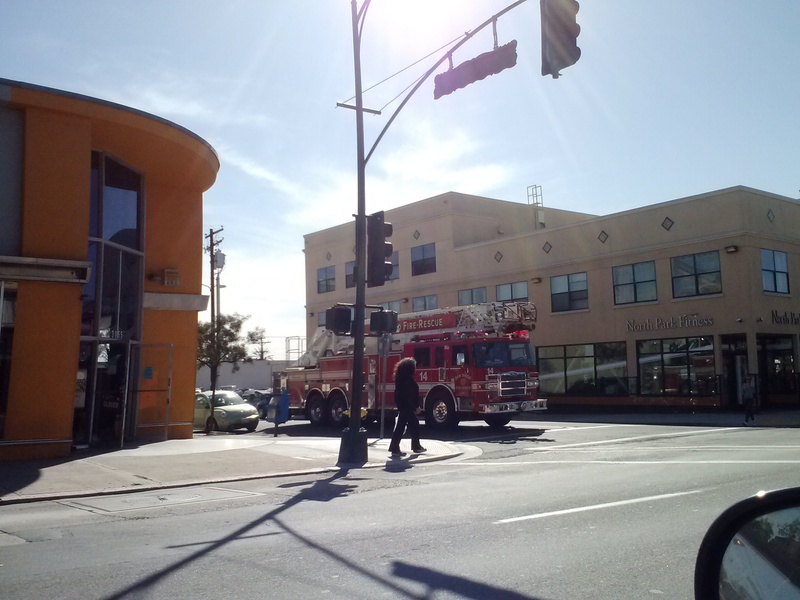 3:58 pm- Passed by red Fire dept. ambulance. 4:45 pm- Sheriff patrol car parked at top of steps to beach where I went to surf, car idling but empty. Organized Stalking/Air harassment by Sheriff’s Dept. Harassing single woman in the desert. Tachnological holocaust. 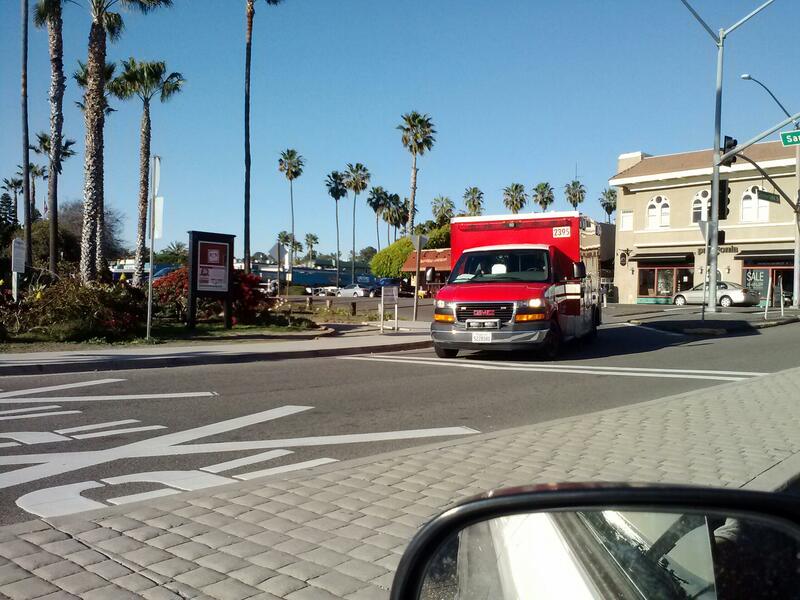 Passed by red lifegueard truck 12:30 pm 2/06/13. 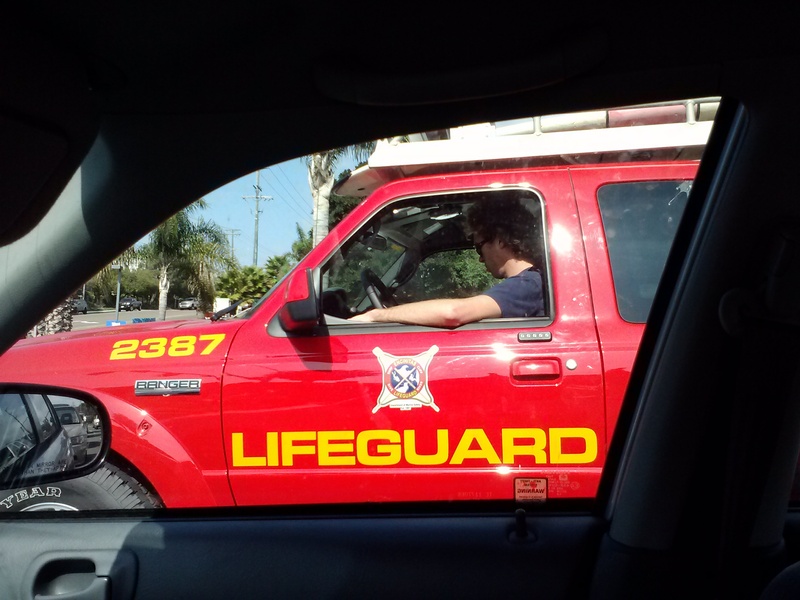 12:30 pm- Passed by red lifeguard pickup vehicle. 3:38 pm- Passed police patrol car on freeway, parked on shoulder pointing radar gun at traffic. 3:40- Passed by police patrol car. 4:21- Air harassment, direct overhead flight with helicopter while walking at the beach. 4:54 pm- Air harassment- direct overhead flight- helicopter, very low and loud, swerved out over the water right after it passed over me. 5:07 pm- Air harassment while walking, direct overhead flight, small plane.